Residential window tinting provides energy savings in addition to simply blocking sun glare. Our window tinting system reduce as much as 79% of the Summer’s heat from coming into your home through your windows! Your energy savings can be more or less depending on how deep of a tint you select. Our window tinting experts will evaluate your daily sun exposure recommend the perfect shade to fit each of your windows based on your home’s sun exposure throughout the day. Do You Have a Home at the Jersey Shore? 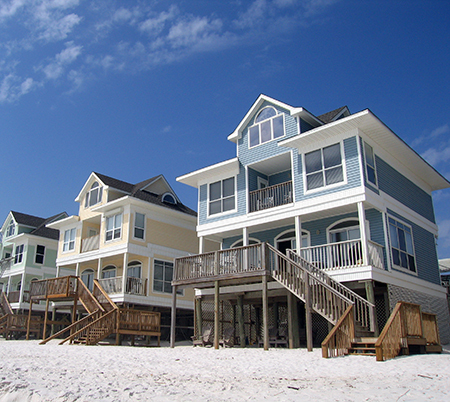 Shore homes benefit the most from residential window tinting. Our window tinting services can often pay for themselves over just a few short summers. Most shore homes have very large windows, especially those facing the ocean or the bay. These windows are offer a great view but greatly increase your home’s energy consumption on sunny, warm days.